A new trend in oral health care called oil pulling has been on the rise in recent years. At my dental office in Long Grove, we’re always open to learning and constantly evolving our care to incorporate the latest technology and techniques. So we put oil pulling to test and here’s what you need to know. Oil pulling, while a relatively new concept to some, finds its roots in Ayurvedic medicine — a holistic approach to medical care — and dates back nearly 3,000 years. The process is simple. 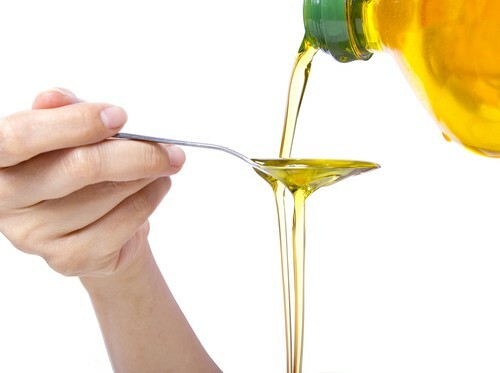 All you need is a tablespoon of liquid vegetable oil, usually coconut oil is the most popular, and about 20 minutes. Take a spoonful of the coconut oil, swish it around in the mouth, pushing and pulling through the teeth, then spit it out. It’s as easy as that. What is Oil Pulling Supposed to do? All of these things would be great to achieve through oil pulling, but are they true? Yes. And no. Swishing with oil for 20 minutes every day can help reduce plaque, but not effectively enough to actually help protect against gum disease or prevent cavities. Oil pulling may help reduce surface staining on teeth, allowing them to appear whiter and brighter, but an in-office whitening is definitely more effective. On a brighter note, it can be used as an alternative to mouthwash for fresher breath. But, unfortunately, it can’t help treat any jaw pain, like TMJ/TMD. While there can be some benefits to oil pulling, it should not replace the traditional at-home dental care routine of brushing and flossing daily. Not to mention, brushing takes only two minutes as opposed to a full 20. More importantly, it’s still crucial to maintain visits with your Long Grove dentist at least twice a year, whether you choose to give oil pulling a shot or not. If you have other questions about oil pulling or how you can get a healthy, white smile, give my Long Grove dental office a call to schedule an appointment today. We’ll be happy to help. Accepting new patients from Long Grove, Buffalo Grove, Lake Zurich.